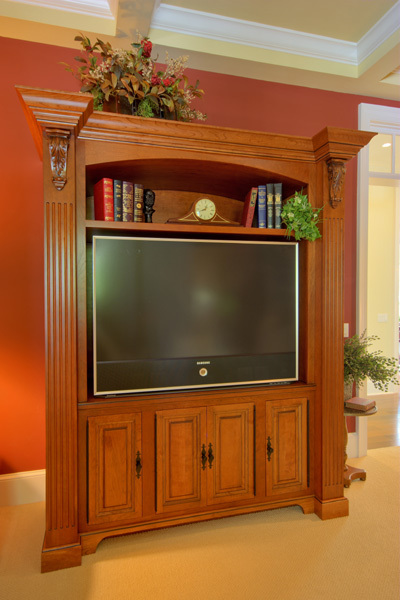 Litchfield Cabinetry offers a wide variety of finishing techniques including clear finish on natural wood, stain, paint, glazing on stain or paint, and distressing. 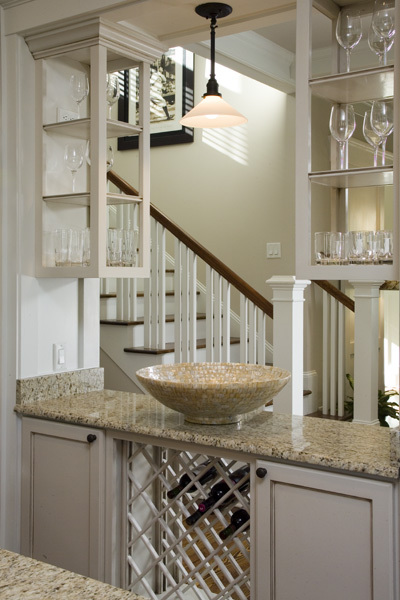 A combination of each technique can be used to make your cabinetry custom and unique. 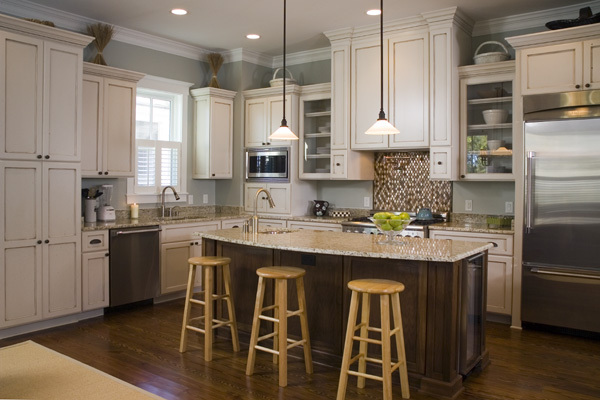 The end result of each cabinetry finish is its durability and attractiveness. 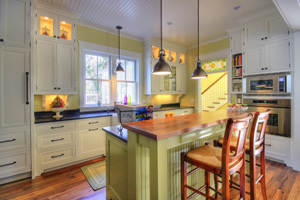 Cabinetry painted a solid color is very popular. The most popular color in the Lowcountry is one of the many shades of white. 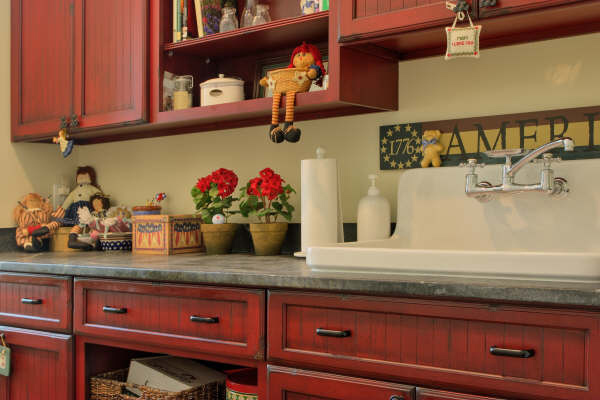 Litchfield Cabinetry can use any color found in a Sherwin Williams fan deck or any custom color. Glazing is a hand-applied process in which a dark stain or paint is used to accent the details of cabinetry drawer fronts and doors. This technique is best highlighted on a raised panel or applied molding door style. 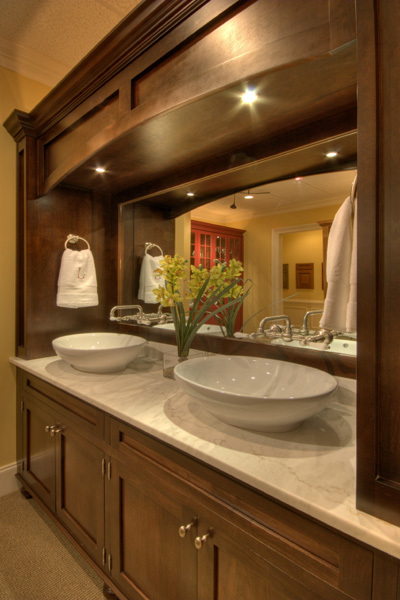 Glazing can be applied to both painted and stained cabinetry. Staining is used to highlight the natural beauty of wood grain. This is most popular on cherry, pine, and walnut. 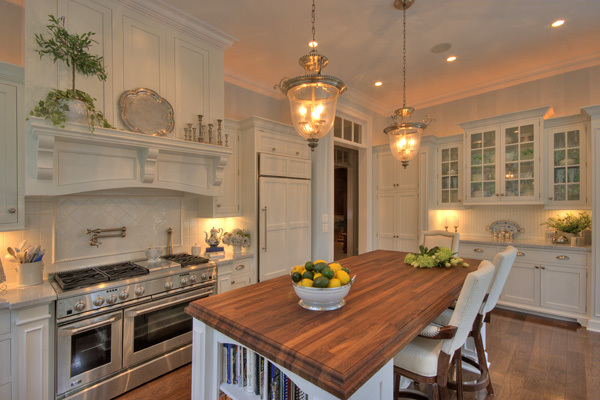 Stained cabinetry is most popular when used for an accent piece or to provide a contrast for painted cabinetry. Distressing gives the appearance of age and use. This process includes random nicks, dings, and weathering. Oversanded corners and edges give the effect of wear from excessive handling. Distressed items generally have a flat sheen finish to simulate an old furniture finish.